Sales of cars with price tags of or over 1 million rubles ($31,250) have increased in volume to 14.4% of total car sales during last year. Source: Kommersant. Average car prices in Russia rise as demand shifts in the direction of more expensive models. As the average price of a car in Russia breaks 788,000 rubles ($24,607), experts expect that demand will continue shifting away from budget-import options and towards more expensive, attractively-equipped cars. The structure of the Russian car market is changing and sales of budget-priced cars have declined. According to an Ernst & Young study for the first half of 2012, budget models that cost up to 600,000 rubles ($18,737) accounted for less than half (49.5%) of total car sales in Russia, compared to the 55.8% of the market it held last year. Meanwhile, sales of cars with price tags of or over 1 million rubles ($31,250) have increased in volume to 14.4% of total car sales, up from 9.6% in 2011. In the past seven months, Russia’s automobile market has expanded overall 28.4%, up to 1.3 trillion rubles ($40.6 billion). The highest average price of a car this year peaked at 809,000 rubles ($25,263) in March and dropped back down to 776,000 rubles ($24,233) by July. Ernst & Young attribute both the increase in the average car price and the shrinking market share of budget cars to "a transition by many models to a higher price segment". Some car manufacturers, such as Kia and Hyundai, which were previously reluctant to introduce models in this price range, focused on this higher price-bracket last year. "Many mass-market brands that used to keep their prices below 600,000 rubles ($18,737) introduced models with upscale packages that definitely overshot this price cap; such models attracted demand largely because of abundant car loan offers", said Sergei Kopyev, a manager at Ernst & Young. The Rolf car dealership makes similar claims about the gradual migration of several entry-level models into the 700,000-ruble ($21,859) price range, in order to explain the rising market share of more expensive vehicle. 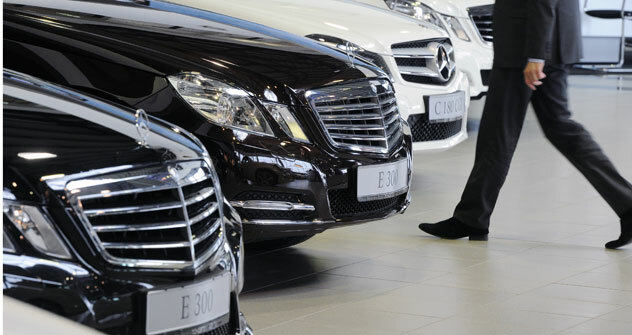 The group's Corporate Communications Department Head, Maria Zaikina, suggests that the market grew in monetary terms because sales of luxury models in the 1-1.5 million-ruble ($31,250-$46,842) range and are increasing. "In the short term, demand will be definitely be shifting towards cars with an average price of 600,000-700,000 rubles ($18,737-$21,859), this mainly being driven by sales in large metropolitan centers", said Mikhail Pak from Aton. He added that this would mainly hurt AvtoVAZ, the Russian car plant whose product line consists exclusively of cheap models. Sales of budget imports started declining back in 2011 and AvtoVAZ’s sales dropped as much as 13% in the first seven months of 2012. "Only the Largus could be called a higher-segment offering, but its sales have only just begun and it's too early to assess the demand", Pak said. According to the European Business Association, sales of the budget-priced Renault Logan also fell 16% in this period; Chevrolet Lacetti sales fell by 14%; and of the Daewoo Matiz saw its sales decrease by 12%. Nonetheless, "given the general economic instability", demand could shift back towards the budget import segment over the remaining half of the year, Pak added, not least because of a possible tightening of credit.